The Hunting Hills heated swimming pool is 25 meters with 8 lanes and includes a new diving board with a diving basin of 12 feet. An environmentally friendly saline-chlorine system is easier on the eyes, skin, and bathing suits. An adjoining wading pool is in place for the safety and pleasure of little swimmers. Spacious covered pavilion, patio, and lawn areas create a recreational atmosphere conductive to fun and relaxation. Freshly prepared foods from our Pool Snack Bar are served by our eager and courteous staff. Professional Life Guards are always on duty and swimming lessons are routinely offered. If your child has a caregiver who will accompany them to the pool at times, ask about our Nanny Pass! Our full service poolside grill is open every day of the week to provide our members with the best in Poolside Dining and Service! Our courteous staff is eager to assist you and we offer a comprehensive menu that includes everything from ice cream and light snacks to salads and hot entrees. A full bar is also available, including a delicious cocktail menu, wines by the glass, and a wide selection of beers. The pool is now closed for the 2018 season. We thank everyone for spending their summer months with us! 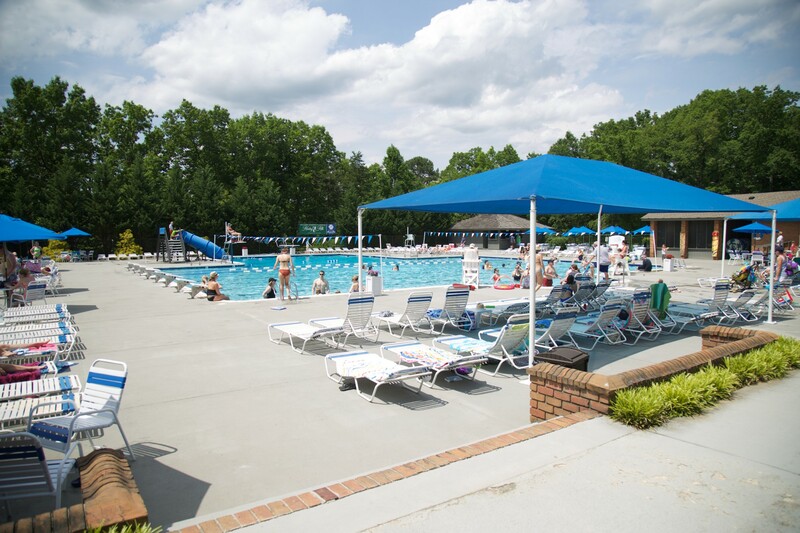 We will re-open the pool on May 1, 2019!